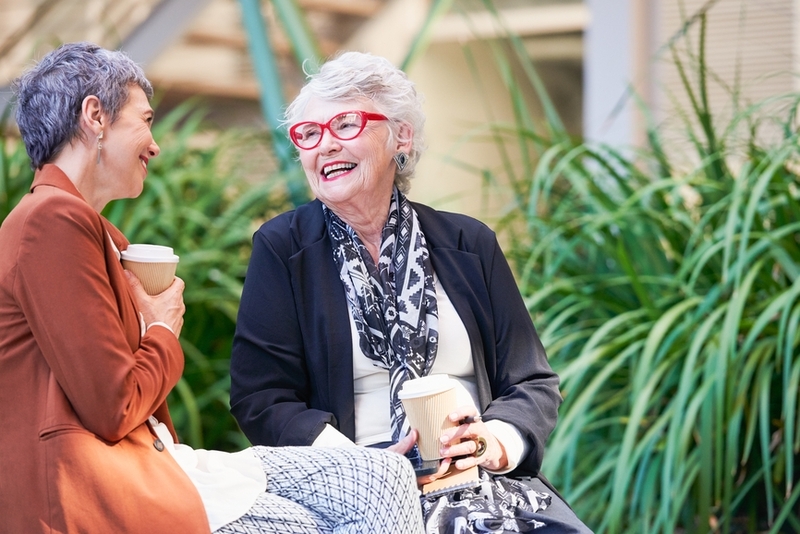 "I have met many women in the past in both my professional and personal circles who found themselves caring for an ailing parent while simultaneously raising a family. And, while the emotional component is hard enough the threat to their family’s financial health can be really scary." They’re called the Sandwich Years. They’re the years of your life when you’re stuck in the middle – finding yourself caring for your children and your parents at the same time. They can happen in your 30s, 40s, and even your 50s; they’re an emotionally, physically, and even sometimes, financially taxing time. The financial effects, in particular, are what I want to talk about today. I have met many women in the past in both my professional and personal circles who found themselves caring for an ailing parent while simultaneously raising a family. And, while the emotional component is hard enough the threat to their family’s financial health can be really scary. Many of our parents have failed to save appropriately for the later years of retirement when their health is deteriorating and a higher level of care is necessary. When in-home care or prolonged physical therapy is needed, shouldering the cost of these services becomes the pressing question for the generation who is sandwiched in the middle to address. So. Here’s the part where I say something that is tough to hear, but so very true. It is not your job to financially support your parents. Did you hear me? Natural order dictates that we care for ourselves and for the generation that we brought into the world – our children. By stretching yourself financially and taking on the needs of the generation above you, you are potentially robbing yourself of the resources that will secure you in your retirement. And that is a disservice to you and to your children. After all, you wouldn’t wish this same predicament on them in 30 years, would you? Moreover, by the time you enter your Sandwich Years, you will likely also be experiencing your highest earning years, too. Even if you can swing the financial responsibility right now, you are spending money instead of investing it. This is especially risky because you may never have the opportunity to earn that money again. I urge you to care for your parents in every way that you can – emotionally and spiritually – but when it comes to financial support, it is prudent to stay focused on committing your resources to prepare for your own retirement. Here are some ways to support your parents in their time of need without jeopardizing your own future. If your parents are at risk of running out of money, the first thing to do is to consult with an elder care attorney who is well-versed in Medicaid planning and help guide you through some options. In Chicago, for instance, you can find your AOA here. You will find local programs for the elderly that you can use to help your parents such as affordable Assisted Living options, Caregiving assistance, and more. There may be ways to get more bang for your buck if you can retrofit your parents’ home to serve their new physical needs. A PGC Manager can help give you advice on what your options are in this arena. If you decide to research the possibility of hiring help through a Nursing Agency, do ask them if they can provide live-in help rather than an hourly caretaker. This is a much more affordable option as it is the difference between paying an au pair rather than an hourly babysitter. Technology is also helping some children keep their parents in their home and independent for longer. Check out MedMinder. It’s an automatic pill-dispensing program that is quite robust in its offerings. You have family who can also help emotionally support Mom and Dad in their time of need. Be sure to communicate with family members and recruit them to take turns caring for your parents. It takes a village no matter what stage of life you’re at. Consider this experience as a call-to-action for your own retirement planning. Consider adding long-term care insurance to your late-in-life plan.